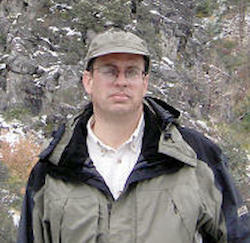 Scott Hatch is a poet and technical writer. He was an English instructor, professor, and lecturer at Utah Valley University and is an adjunct instructor of creative writing and technical communication at Brigham Young University. He is the author of the poetry collection Mapping the Bones of the World. He was editor in chief of the engineering journal Network Professional Journal. He earned both his bachelor’s and master’s degrees from Brigham Young University. He is the recipient of the Utah Arts Council poetry prize and the Western Humanities Review poetry prize. Hatch is a member of The Church of Jesus Christ of Latter-day Saints. This page was last edited on 30 April 2017, at 22:44.